Money Saving Ideas - Try These Helpful Tips! When your finances are in flux, having some money saving ideas in the back of your mind can be helpful. From groceries to car expenses, a little forethought and comparison shopping can help keep down costs. Here are a number of things to try that might save you some cash. 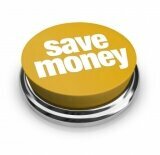 Clip coupons out of the newspaper and visit sites with money saving ideas such as coupons.com or groupon.com. There are a lot of these promotional sites that have online coupons and special offers. Be sure to check the website of your favorite grocery store, too, for store-specific coupons. Some grocery stores now have digital coupons that will download to your store loyalty card. Purchase generic products instead of name brand. Buy in bulk. This can be particularly helpful when purchasing non-perishable items such as toilet tissue. Prepare a grocery list before you go to the store and use it. Do not buy items that are not on the list. Look for clearance items at the ends of aisles or in distant corners. Look down and look up. Stores often place cheaper items above and below eye level. Do not buy bottled water or name brand soda. Buy plastic storage containers and reuse them. Do not buy plastic storage bags. Shop at bakery outlet stores for bread. Do not buy more food than what you need. Freeze foods that you do not use. Do not shop at convenience stores, as they have a high markup on food items. Compare rates on automobile insurance when your policy payments are due. Walk or use the bus instead of the car. Purchased used cars, not new ones. New cars lose their value quickly, but a quality used car does not. Keep your car for as long as possible. Be soft on the gas pedal and do not punch it. This will save gasoline. Drive the speed limit and do not speed. This will save gas (as well as the cost of a speeding ticket). Reduce travel time and gas use by combining destinations. Refinance your mortgage if the interest rates are significantly lower than your current loan. 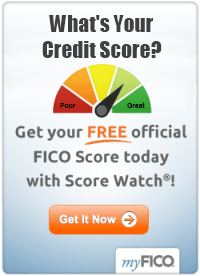 Get your free credit report at annualcreditreport.com, which is a government-sponsored website. Use the library instead of buying books, dvds, audiobooks, and other items. Most libraries also have computers that you can use instead of purchasing a computer for your home. Put a digital programmable controller on your thermostat to save on heating costs. Stop using tobacco products. Not only will you save thousands in the costs of the product, but your health will improve, too. Have a yard sale to dispose of things you no longer use, and make some extra cash, too. Examine all bills, credit card statements, and bank statements for fees. Many companies are placing new and unexpected fees on accounts so it is important to review your statements every month. If fees are excessive, find a new bank or change your habits to avoid the fees. Mail in rebate offers immediately so that you can recoup your money. Do not miss mailing deadlines. Purchase clothing at consignment stores, charity shops, or yard sales. Put energy saving light bulbs in all of your light fixtures. Do not buy appliance warranties from the store. They are rarely worth the cost and most items have a limited manufacturer's warranty on them anyway. Pay your bills on time to avoid finance charges or late fees. These money saving ideas will complement other debt management strategies and hep put you closer to taking charge of your spending. For more ways to save money, click here: 17 Practical Money Saving Tips. Do you have some money saving ideas that have worked well for you? Please take a moment and share your penny-pinching tips with others. Simply complete the short form below and then click the "Submit" button. All submissions will be reviewed. Your money saving ideas will then become a separate web page with a link listed below. Please note that your submission may be edited for clarity and typo correction, as appropriate. 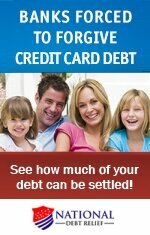 Also, CardDDebtGuide.com reserves the right to reject a submission, if necessary. Thank you for taking the time to submit money saving tips!